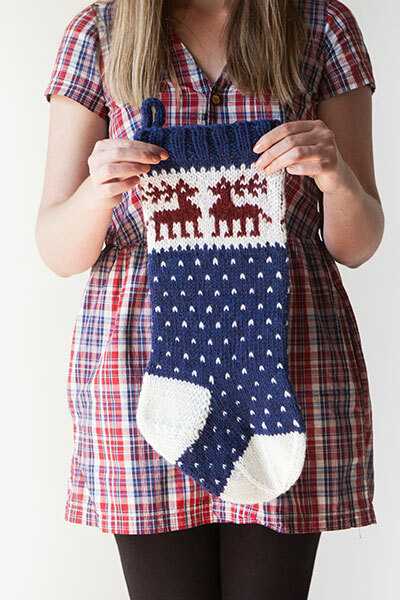 Traditional oversized stockings provide plenty of room for holding all the little treats you could want. 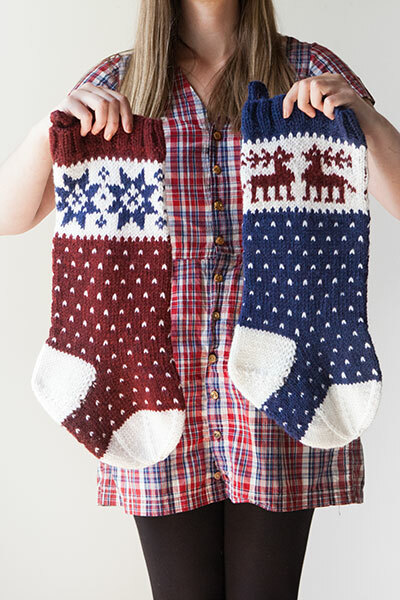 With bulky yarn, they’ll knit up in a flash, with just enough embellishment to make for lovely décor without overcomplicating this must-have holiday item. 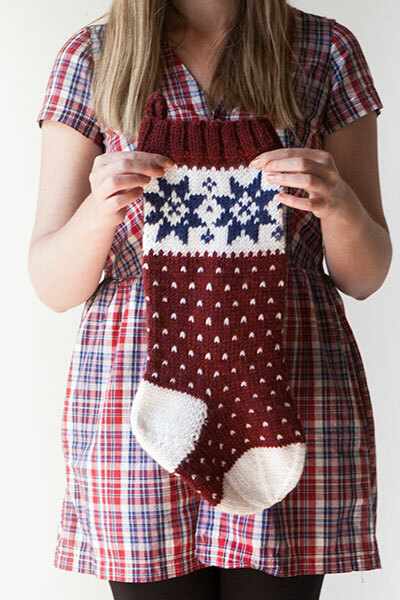 Holiday Stockings are knit in the round from the cuff down, with a shallow heel and star toe. 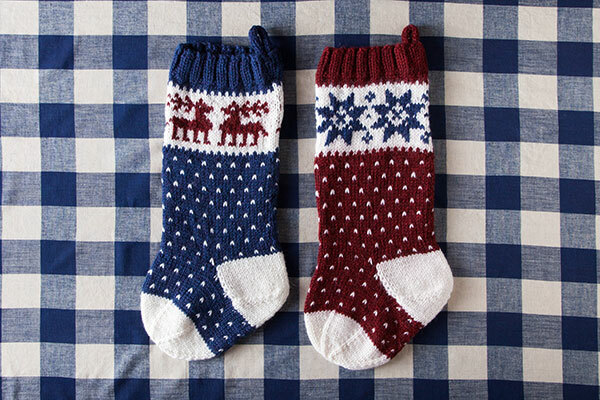 Basic two-color Fair Isle provides decoration. 1 hank each of all three colors will make 2 stockings with opposite color schemes.